What number that comes after the given number? Kids need to find the number that comes next after the given number. By playing the games on numbers that comes after kids can memorize the sequence of counting numbers. To work on the worksheets on numbers that comes after children need to count numbers forward to find the next number. Before practicing this worksheet, count the numbers serially to make sure that you know the numbers in order. Then grab a color pencil to make your worksheet looks colorful and try to write the number that comes just after. Children can practice math games worksheets on writing the numbers just after to increase the skills of counting numbers in order to know the number sequence by using the colorful pencil. 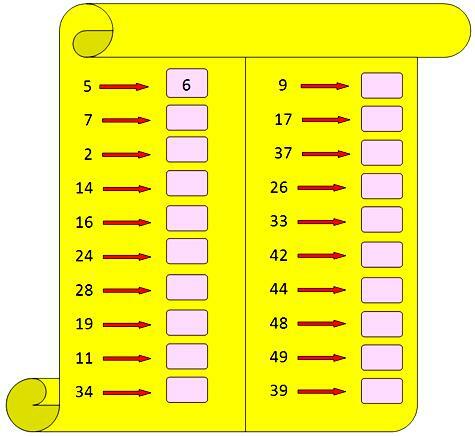 The number that comes just after 5 is 6 which is shown in the worksheet so that children gets a fair idea about how to write and complete the worksheet on the allotted time.